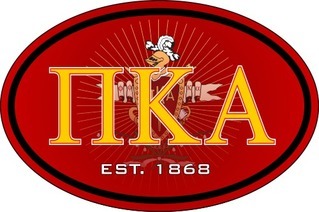 Want an easy way to add a bit of Pike paraphernalia to your things? 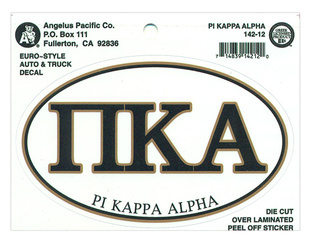 Any of these Pi Kappa Alpha Stickers and Decals will add color and character to your personal items, your home and your car. If you're a bumper sticker lover, add a new one to the back of your vehicle that will bring attention to your fraternal affiliation. 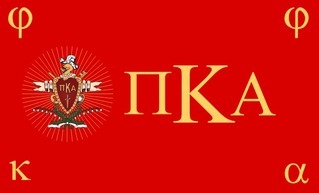 The Pi Kappa Alpha Proud Bumper Sticker should be at the top of your list of options. What better way to let everyone on the road know how proud you are to be a member? 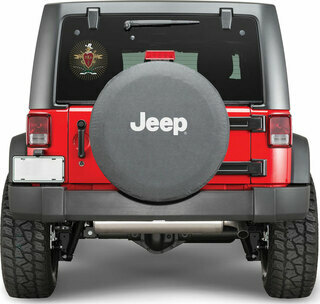 If you prefer a more understated option, see the Oval Crest Bumper Sticker. 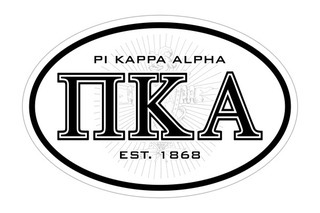 Some of the stickers are best used in your dorm room or game room at the chapter house. Put a Color Oval Decal on the side of your pool table or at the center of your card game table. And if you want to celebrate your country along with your fraternity membership, get a Giant 4 inch American Flag Greek Letter Sticker for your dorm room door. 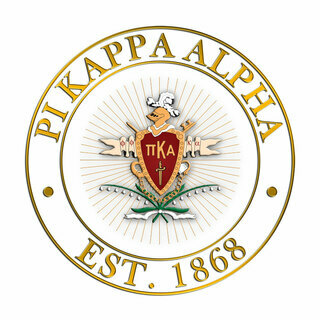 If you've just accepted a new group of initiates into your chapter, Pi Kappa Alpha Stickers and Decals are easy gifts that they'll appreciate. Combine them with other small items from the "On Sale" section. 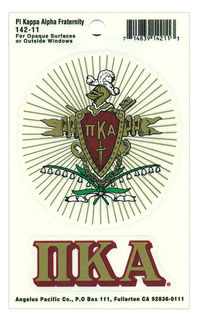 Pi Kappa Alpha Stickers & DecalsThe Greatest Selection. Period.